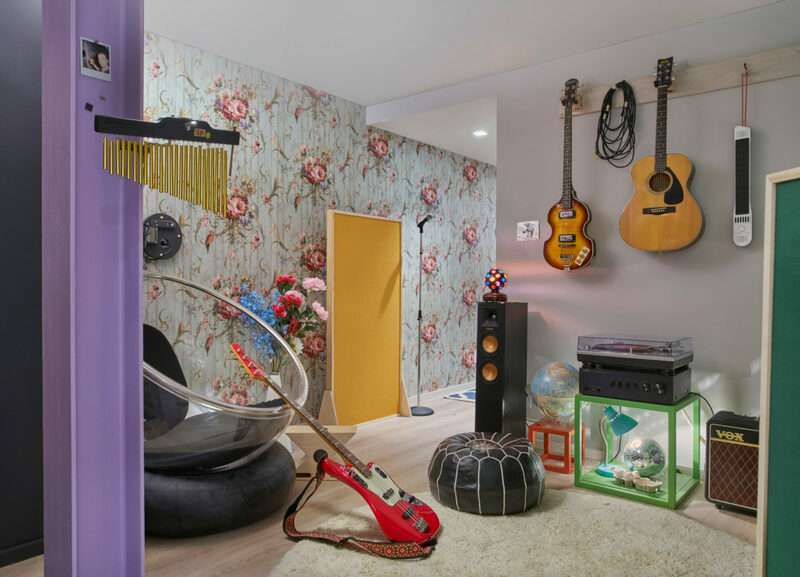 A musician's haven in one of the "artist suites." 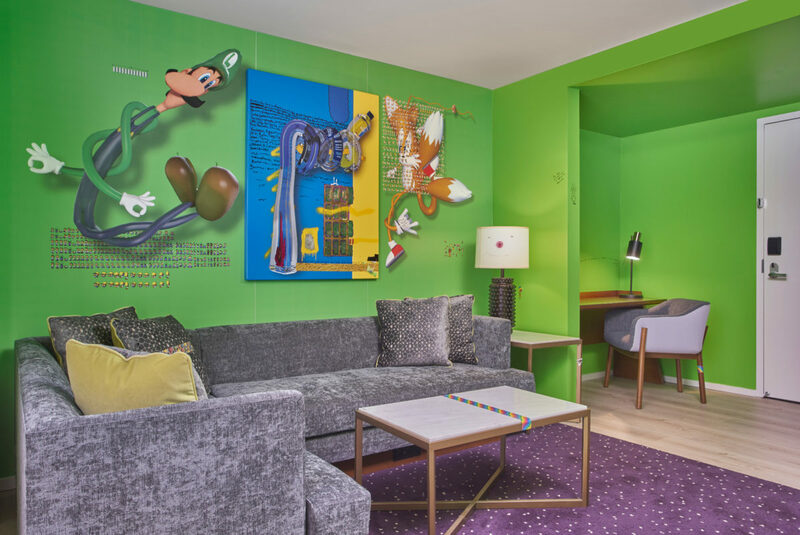 Photo by Mike Schwartz courtesy of 21c Museum Hotels. 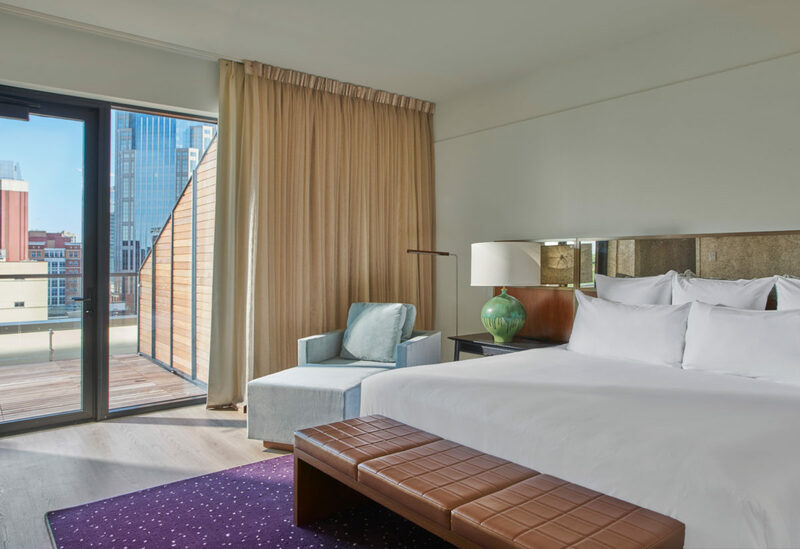 The 21c Museum Hotel sits on Nashville’s 2nd Avenue near the Cumberland River, an imposing, historic building, once known as the Gray & Dudley Hardware warehouse and retail location. 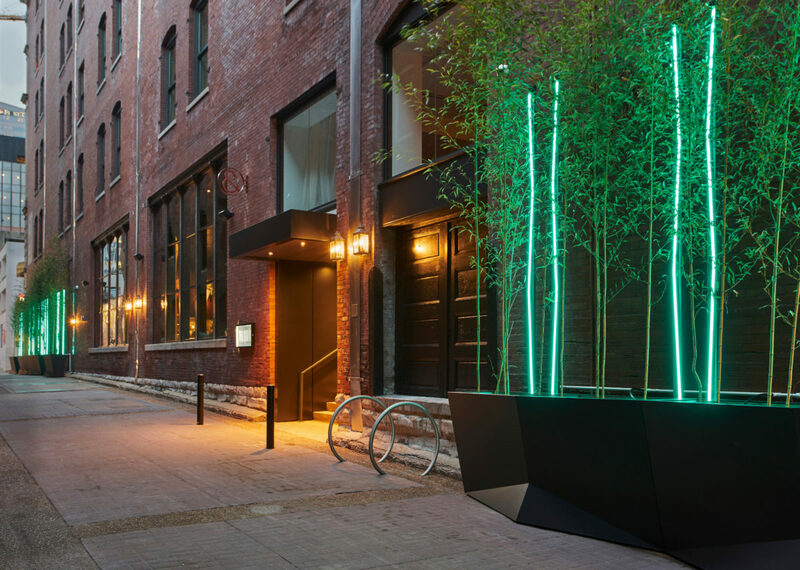 It’s the seventh in a growing array of contemporary art museum and boutique hotel hybrids in the midwest and southern U.S. 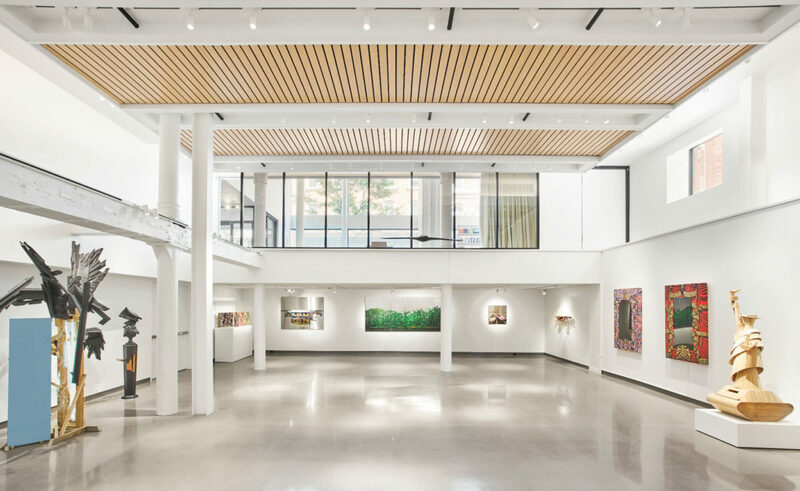 The brainchild of Laura Lee Brown and Steve Wilson, art collectors and Kentucky natives, 21c Museum Hotels opened its first iteration in Louisville in 2006 with a clear mission: to make contemporary art accessible—no entrance fee, art available at all hours—and to revitalize the historic downtown area. The couple have held fast to that original mission, and the newer locations maintain the commitment to bringing contemporary art into cities that previously didn’t contain much of it. 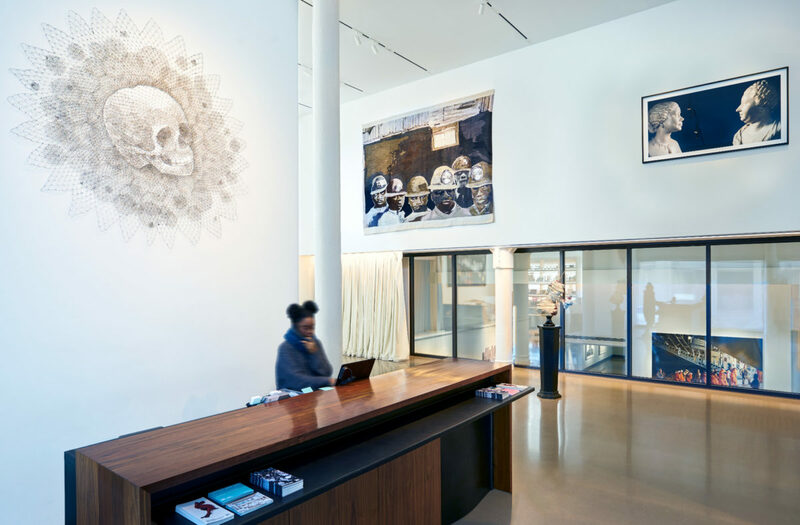 When you first walk into the Nashville location, a long hallway featuring work by Hank Willis Thomas, Nidaa Badwan, and Toyin Ojih Odutola stretches ahead, leading to more art in the main gallery. 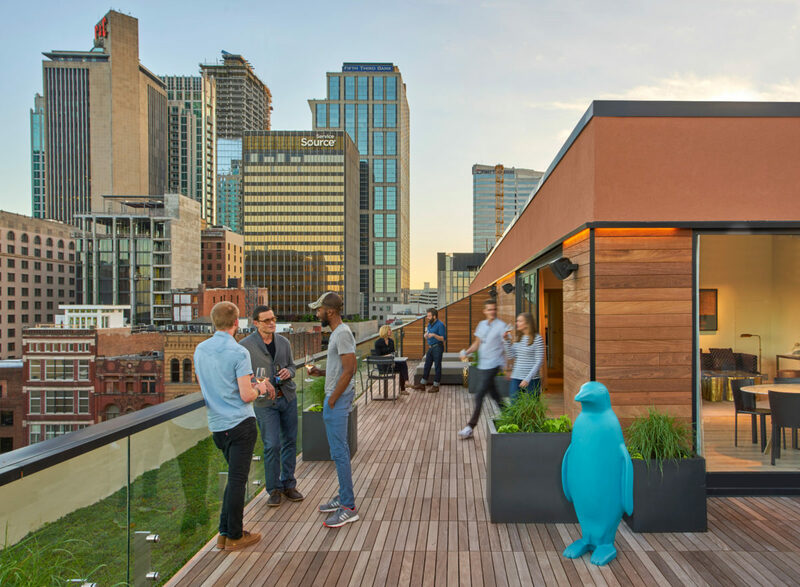 The Nashville 21c is also the only location to boast three “artist suites,” designed, respectively, by actor/artist Adrian Grenier, painter Sebastiaan Bremer and musician-composer Josephine Wiggs, and artist/rapper Yung Jake. The Bremer/Wiggs suite also features a fully-functional recording studio and a full stock of art supplies for guests to use. Artist suite designed by Yung Jake. Photo by Mike Schwartz courtesy of 21c Museum Hotels. The main gallery. Photo by Mike Schwartz courtesy of 21c Museum Hotels. Photo by Mike Schwartz courtesy of 21c Museum Hotels. Although the owners are lovers of contemporary art, they are also historic preservationists. Many of the 124 guest rooms contain eccentricities of the former warehouse: a randomly placed pillar or an oddly shaped window. Though it’s now painted a sleek grey, the renovated building has retained the original Chicago-style façade of long, arched windows. 21c also features a chef-driven destination restaurant and bar, dubbed Gray & Dudley as an homage to the building’s past, with a reasonably-priced menu. Even the restaurant showcases 21c’s foundational devotion to contemporary art, with rotating exhibits (currently on view is “Menagerie,” with sculptures by Beth Cavener hanging above the bar). You’ll like it here if: You love contemporary art so much you want to live inside it. The crowd: Super varied: schoolchildren on field trips, couples celebrating their anniversaries, and Yung Jake stans. You’ll know you’re in Nashville because: Nashville Pedal Tavern containing a rowdy bachelorette party will inevitably cycle past you, you’ll hear strains of live music in the evening, and the rooftop features a sweeping view of the Nashville skyline – including the signature Batman building. Pro tip: 21c offers free docent-led tours at 5 p.m. on Wednesdays and Fridays.